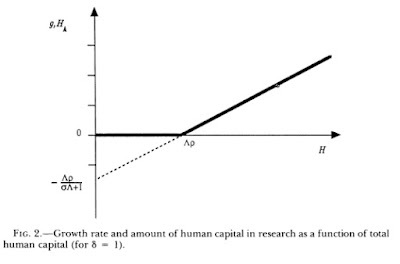 "Increasing Returns and Long-Run Growth," Journal of Political Economy, Vol. 94 , No. 5 (Oct. 1986), pp. 1002-1037. Paul M. Romer. University of Chicago. Growth in this model is driven by technological change that arises from intentional ... [Journal of Political Economy, 1990, vol. 98, no. 5, pt. 2] 1990. ...my objection to mathiness is not a critique of the assumptions or structure of the models that others propose. It is a critique of a style that lets economists draw invalid inferences from the assumptions and structure of a model; a style that authors can use to persuade the reader (and themselves) to adopt conclusions that do not follow by the rules of logic; a style that tolerates wishful thinking instead of precise, clearly articulated reasoning. The mathiness that I point to in the Lucas (2009) paper and in the follow up paper by Lucas and Moll (2014) involves hand-waving and verbal evasion that is the exact opposite of the precision in reasoning and communication exemplified by Debreu/Bourbaki, and I’m for precision and clarity. 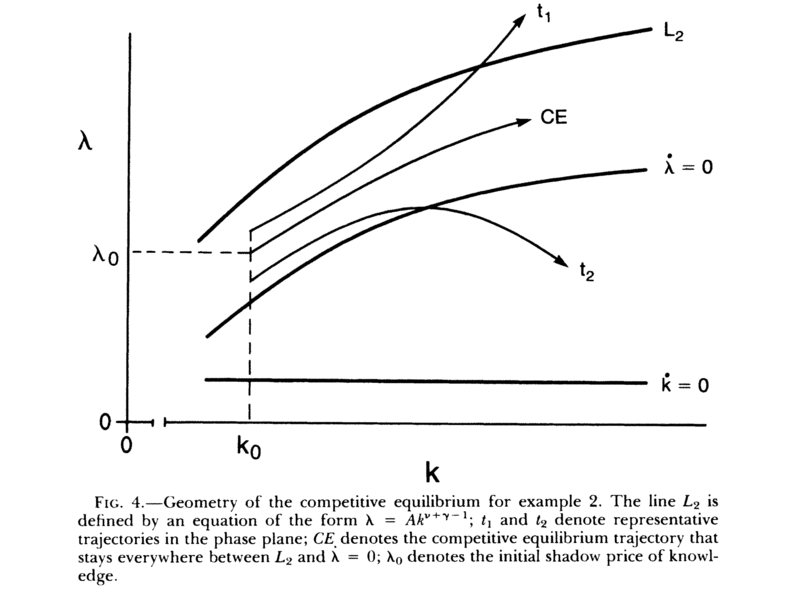 Romer (1990), “Endogenous Technological Change”. 3 / 45. Page 4. AK model. • Originally due to Romer (1986), Rebelo (1991), also see. Acemoglu Ch. 11. 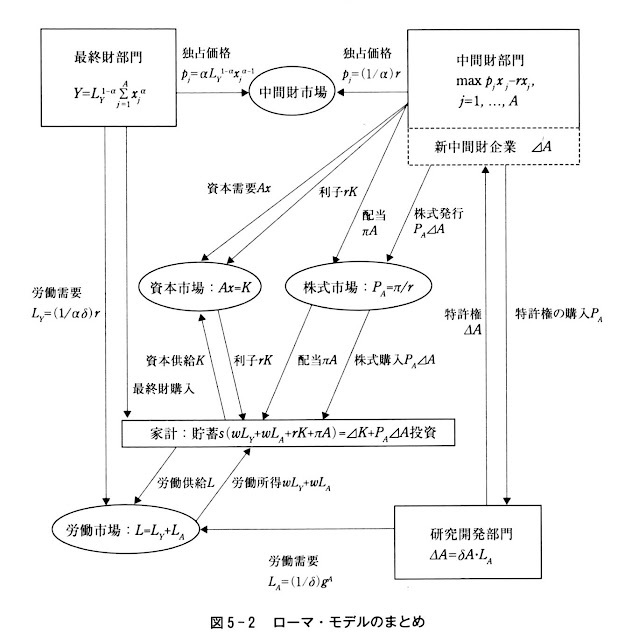 • Consider standard growth model .... One of most cited papers in economics. Long-Run Growth. Sergio Rebelo. Northwestern University, Portuguese Catholic University, and. 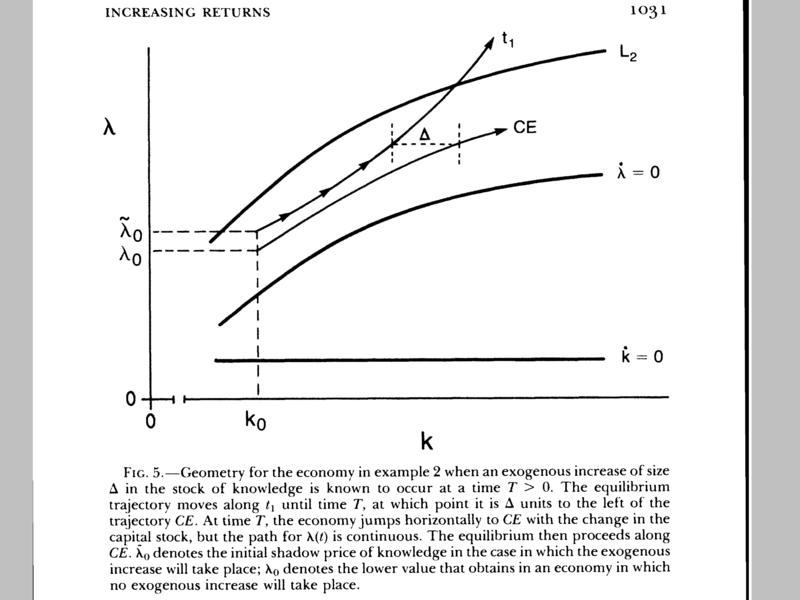 Rochester Centerfor Economic Research ..... See Jones and Manuelli (1990) and King and Rebelo (1990) for discussions of the effects of taxation ...... Heckman, James J. 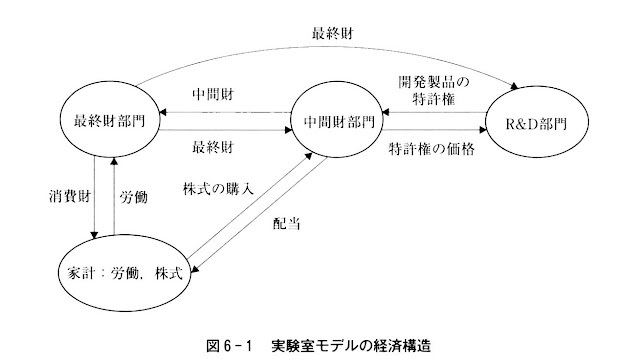 "A Life-Cycle Model of Economics, Learning, and Con-. 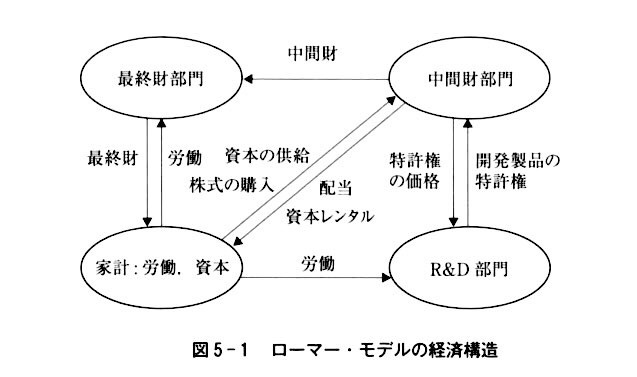 Rebelo (1991) examines a model in which a social planner maximizes the discounted ... Thus, the steady-state growth rate in a Rebelo economy is directly proportional to the saving rate. ... 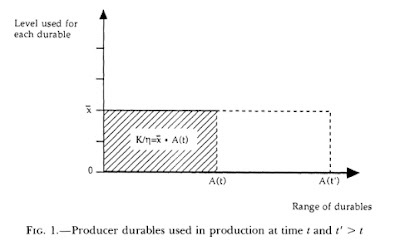 In fact, the Rebelo AK model is essentially just. ^ Romer, Paul M. 2015. 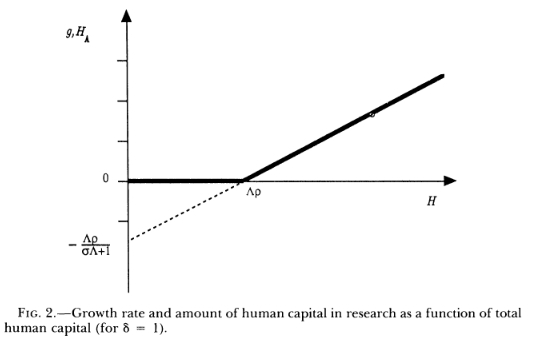 "Mathiness in the Theory of Economic Growth." American Economic Review, 105(5): 89-93. ^ Morishima, Michio. 1984. "The Good and Bad Uses of Mathematics" in Economics in Disarrayedited by P. Wiles and G. Routh. Basil Blackwell. pp. 51-73. ^ Keynes, John. M. 1972. "Essays in Biography" in The Collected Writings of John Maynard Keynes. Macmillan, St. Martin's Press for the Royal Economic Society. 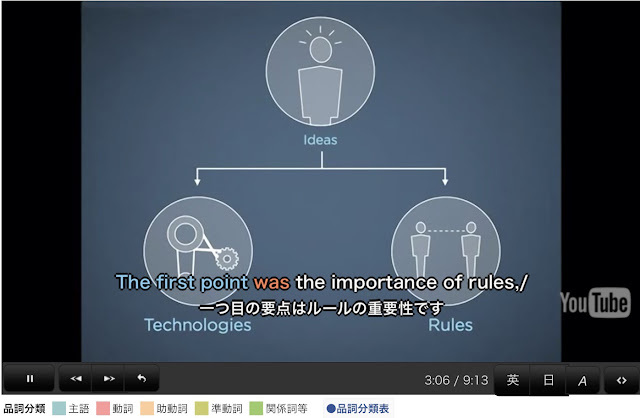 TED｜ポール・ローマー: 世界初のチャーター都市YouTube｜Paul Romer: The world's first charter city? 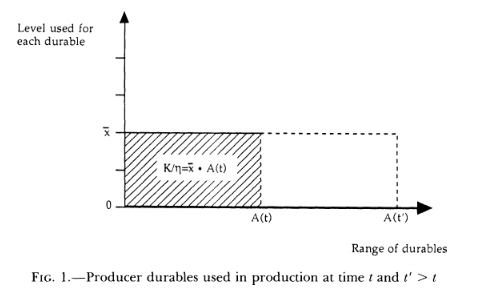 [Journal of Political Economy, 1990, vol. 98, no. 5, pt. 2] 1990. University of Chicago. Growth in this model is driven by technological change that arises from intentional ... [Journal of Political Economy, 1990, vol. 98, no. 5, pt. 2] 1990.